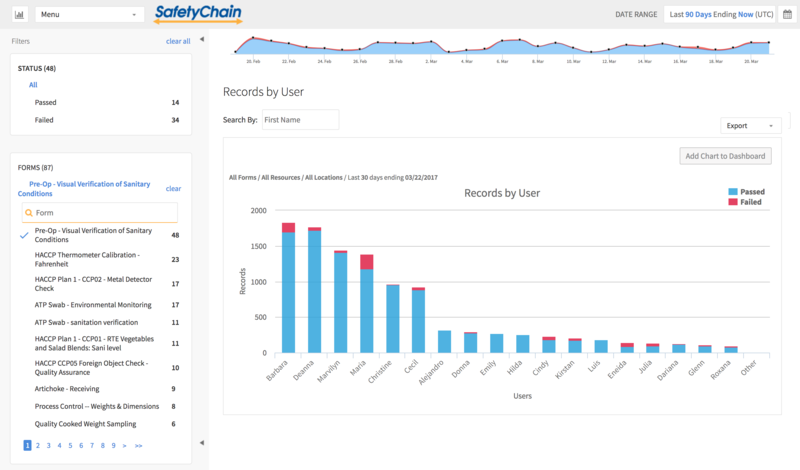 Learn how SafetyChain is helping leading Food & Beverage companies create a faster, easier way to maintain compliance. Sign-up to receive instant access to our data sheet & product demo videos. 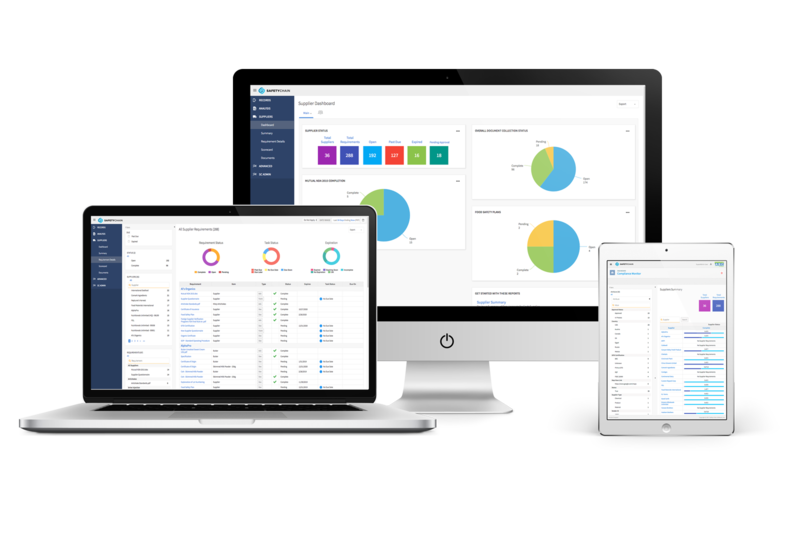 Our Food Safety Software is a best-of-breed audit and compliance solution that utilizes mobile data collection and program automation to make it faster and easier for food and beverage companies to ensure compliance with regulatory, GFSI and customer requirements. 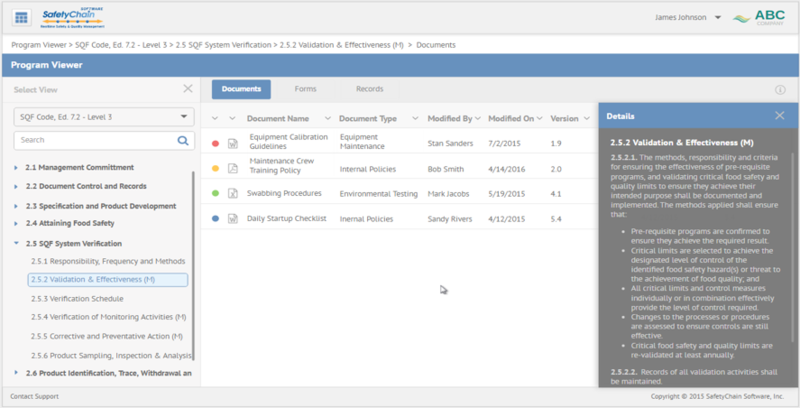 Eliminate those piles of paper, complicated spreadsheets, and time-consuming manual entry tasks with our mobile SmartCapture forms that make it easy to capture and upload food safety data instantly from the plant floor. 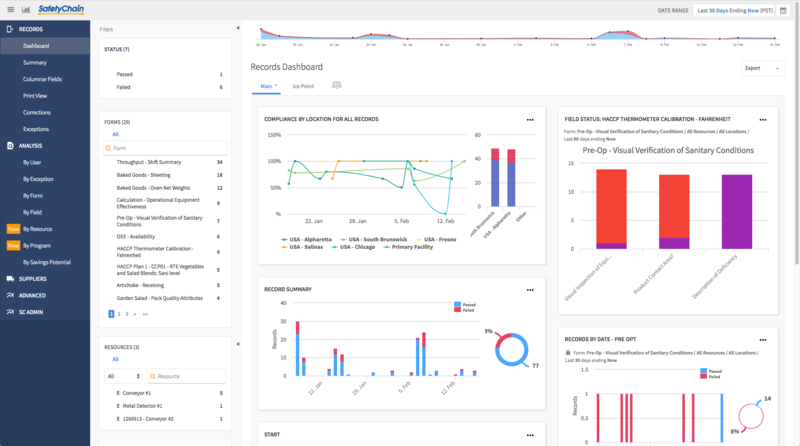 From receiving to finished product review our audit automation captures and stores all of your food safety data in a secure, easy to access portal for on-demand audits to satisfy regulatory, non-regulatory and customer compliance requirements. Utilize powerful real-time food safety program analytics and alerts to closely monitor your performance against regulatory, non-regulatory & customer compliance standards including GFSI, SQF, and more!